If you’ve ever thought about starting an online store, you know there are a lot of options when it comes to building your store. They all claim they’re the best for your business, but which one truly is the best eCommerce platform? Is it right for your business, though? We’re here to help you decide, but first, let’s talk about Shopify itself. Launched in 2006, Shopify is an eCommerce company headquartered in Ottawa, Ontario. They're one of the largest, most popular eCommerce platforms today thanks to their passion for innovation and focus on customer/merchant satisfaction. They host over 600,000 stores, including major companies like Kylie Cosmetics, Red Bull, and Jones Soda. It’s not just for corporations, though! Shopify works for businesses of all sizes. 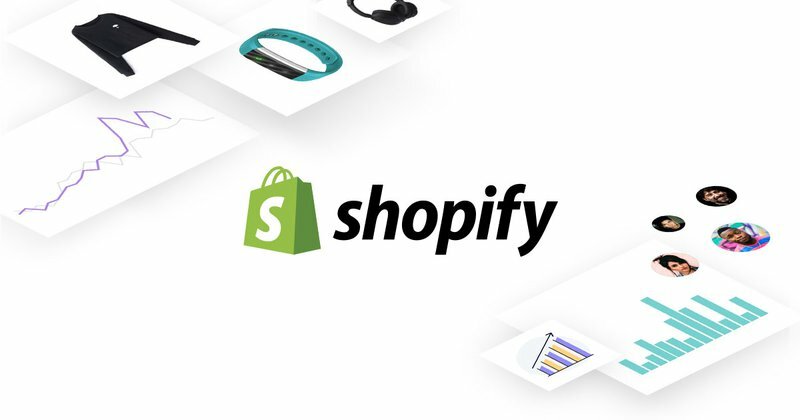 Whether you're just getting started or you've been in the eCommerce game for years, there's a good chance Shopify is the best eCommerce platform for your needs. People turn to Shopify no matter where they are in their eCommerce journey: when they’re opening their first online store, taking a brick and mortar store online, or when they’ve outgrown other eCommerce platforms. Its ease of use, customizability, and 24/7 customer support make it ideal for first-time eCommerce merchants. And if you have an existing store but your current platform isn’t cutting it, you’ll definitely want to check out Shopify. Migrating your store is easier than you think and the freedom Shopify gives merchants is unmatched. In fact, a lot of what Shopify offers merchants is unparalleled. Unlike other platforms, Shopify gives merchants almost endless options when it comes to themes, apps, and payment processing. Hosted eCommerce - Shopify is a fully hosted eCommerce platform, meaning everything is in one place. No more buying a domain to use with a separate host and then adding eCommerce functionalities. Your store and your content management system (CMS) are all on Shopify, making setup and maintenance super easy. Completely customizable - We don’t just mean the front end of your site. The back end is totally customizable, too! Shopify offers over 1,500 apps and plugins - with the ability to have custom apps made - to help you manage your site the way that’s best for you. You’re never forced to use tools or tech that don’t work for you. Monthly packages for every budget - Shopify offers a plan for every business. Whether you want to use Shopify to sell on your blog or you’re a high-volume merchant, there's a solution for you. Sell anywhere - Online or in-person, Shopify makes it simple to sell anywhere by providing merchants with dozens of sales channels like eBay, Google Shopping, and Amazon. Set up your store, start selling all over the web, and manage it all from your store admin area. Reaching more customers has never been easier. Accept every payment - With so many sales channels, you’ll need more than one way to accept payments. Luckily, merchants can choose from over 70 payment processors, including Shopify’s native payment processor. With so many options, you’ll be able to accept any payment from anywhere in the world. Top-notch customer support - Lots of companies claim to have the best support but we think Shopify really does. They offer email, chat, and even phone support 24/7. No really, you can contact them day or night and they’ll be there to help you. Serious security - As an eCommerce company, Shopify takes security seriously. To protect your info and that of your customers, all Shopify stores are level 1 PCI compliant and shopping carts include an SSL certificate with industry-standard 128-bit encryption technology. You’ll also have the option to enable two-factor authentication to further protect your account. If you're currently on Shopify? Would you think of switching? Join the conversation on Medium, Facebook, Twitter, Instagram, or LinkedIn!